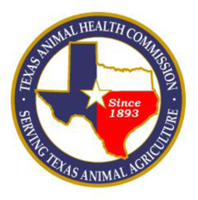 (Austin, Texas - Thursday, September 14, 2017) - The Texas Animal Health Commission (TAHC) is encouraging owners to take precautions and vaccinate their equine to protect against the West Nile Virus (WNV) and Eastern Equine Encephalitis (EEE). West Nile Virus is the leading cause of arbovirus encephalitis in horses and has been identified in the entire continental United States, most of Canada and Mexico. The case fatality rate for horses exhibiting clinical signs of WNV infection is approximately 33%. Data have supported that 40% of horses that survive the acute illness caused by WNV still exhibit residual effects, such as gait and behavioral abnormalities, six months post-diagnosis.